Scott leads Sullivan's Emerging Companies & Venture Capital Group and represents entrepreneurs, technology and life science companies and investors in venture financings, M&A and other corporate transactions. He also represents clients in private and public securities offerings and advises on SEC compliance matters, including with respect to token distributions. Scott’s clients are in a number of areas including Internet, Digital Health, Digital Media, Blockchain/Cryptocurrency, Biotech/Life Sciences, Artificial Intelligence, IOT, Data Analytics, Cyber Security and Software. 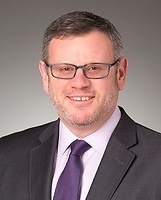 Scott is a trusted advisor and serves as outside general counsel to a number of his clients and has significant experience advising Israeli hi-tech companies in connection with their business transactions in the United States.